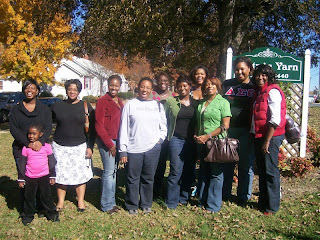 Many of you have probably already seen these pictures from the Ebony Elite meet-up two Saturdays ago. I've "borrowed" these pictures from the other ladies' websites. Well, all except the last one. 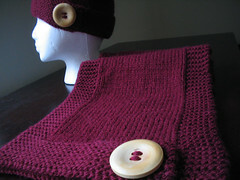 I had the pleasure of hanging out with the lovely knitters of Ebony Elite. 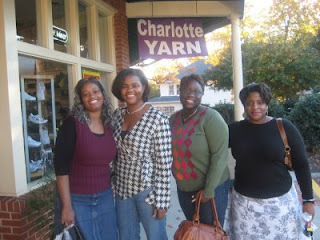 We met up in Charlotte on for some yarn shopping at Charlotte Yarn and Cottage Yarn, along with some good food eatin'. And guess what, I got the chance to meet Adrienne , Patrice and Jenifer. You can go to their blogs to see other pictures and to read what they said about the weekend. Talk about being excited! I had to poke Adrienne to prove that she was right there in front of me. One of the things I love about this group is how everyone effortlessly fits in. I believe the level of comfort comes from the fact that we've read each other's blogs for so long. 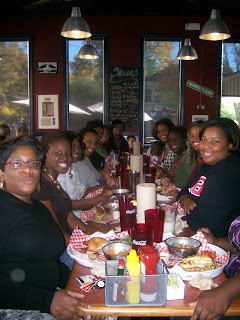 I remember looking down the table of all the ladies laughing and enjoying themselves. I like to see people happy. Yeah, I bought some yarn. Adrienne has a picture of me shopping on her blog. I'll let you know what I bought at a later time. I didn't buy a TON of yarn, but I did significantly increase the stash. 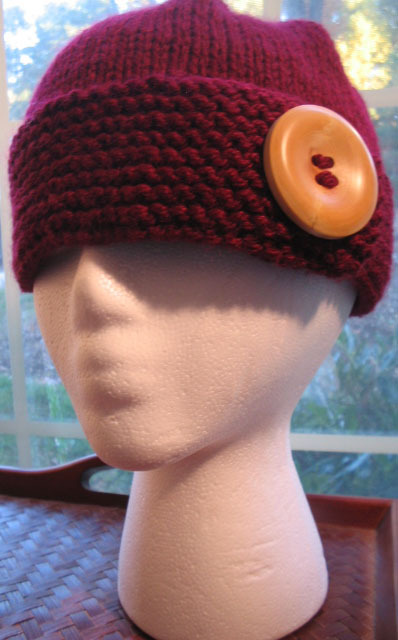 I also met up with some Raleigh Knitters the next day. Since I have so many pictures, I think they deserve their own post.